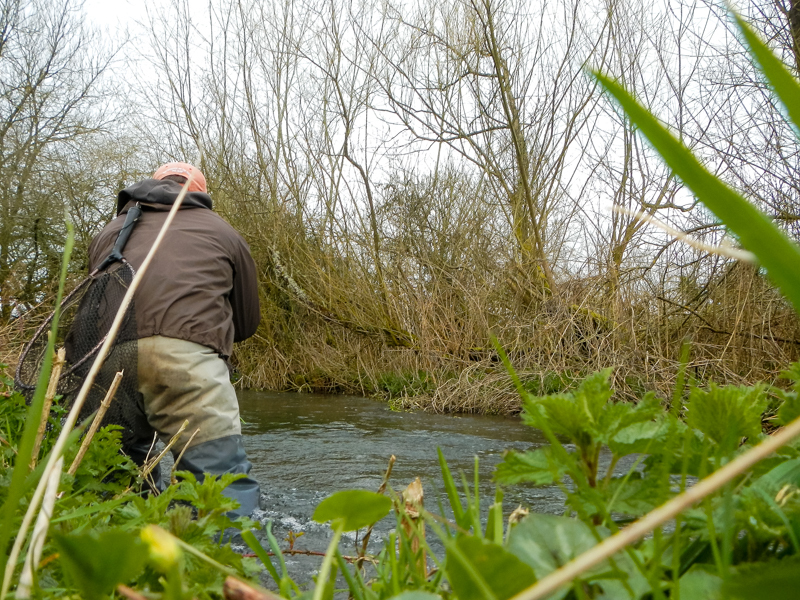 After some torrential rain a few days ago, the rivers burst their banks and there was little hope of casting a fly on the opening day. 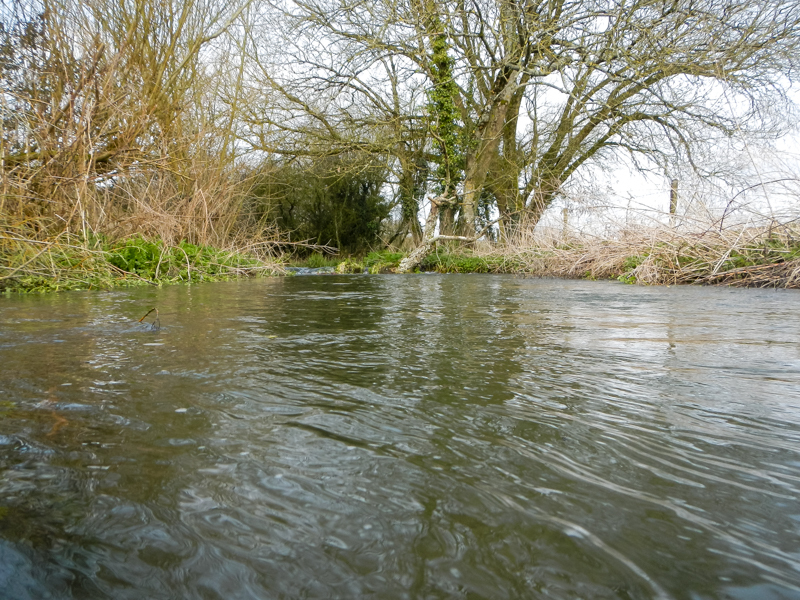 But after just 24 hours the smaller streams were running clear and fishable. 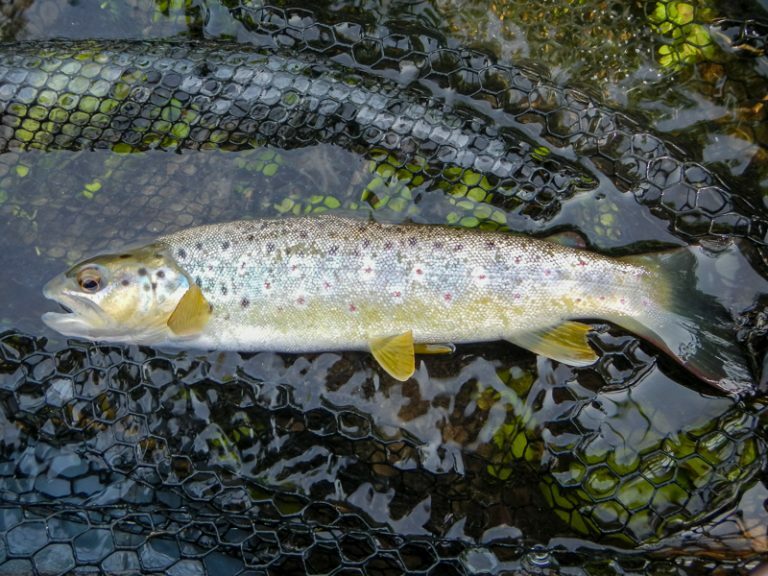 I opened my season on the River Cerne, saw large dark olives & a few grannom hatching. 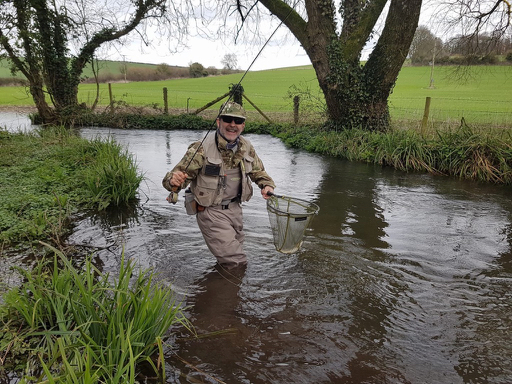 But the trout had their heads down, which called for a small weighted PTN, it did the job and my 2018 seasons account was open. I was joined by Trev & Rob and Trev was also soon into fish (photo by John Aplin).